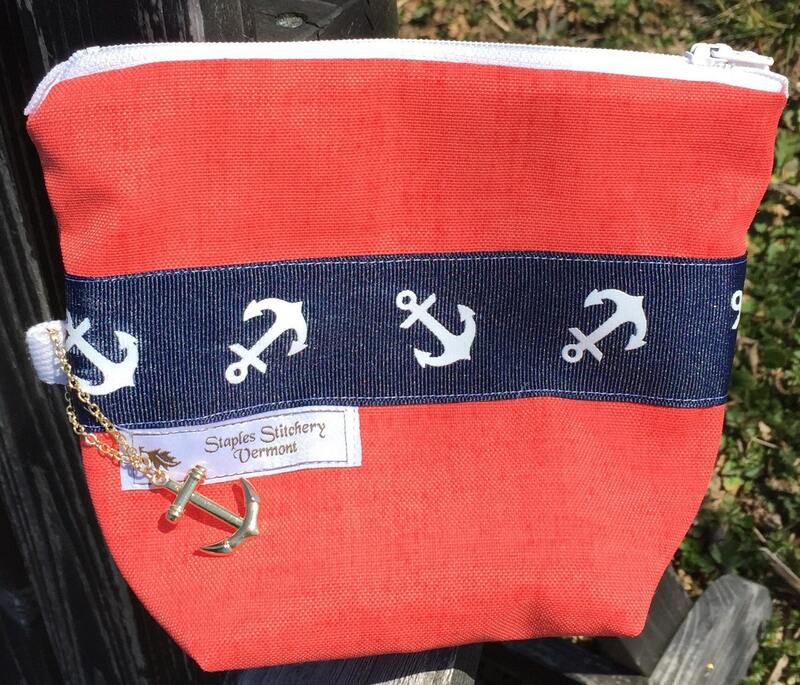 This mini beach tote is perfect to throw in any tote to hold smaller items like a cell phone, sunscreen or jewelry. 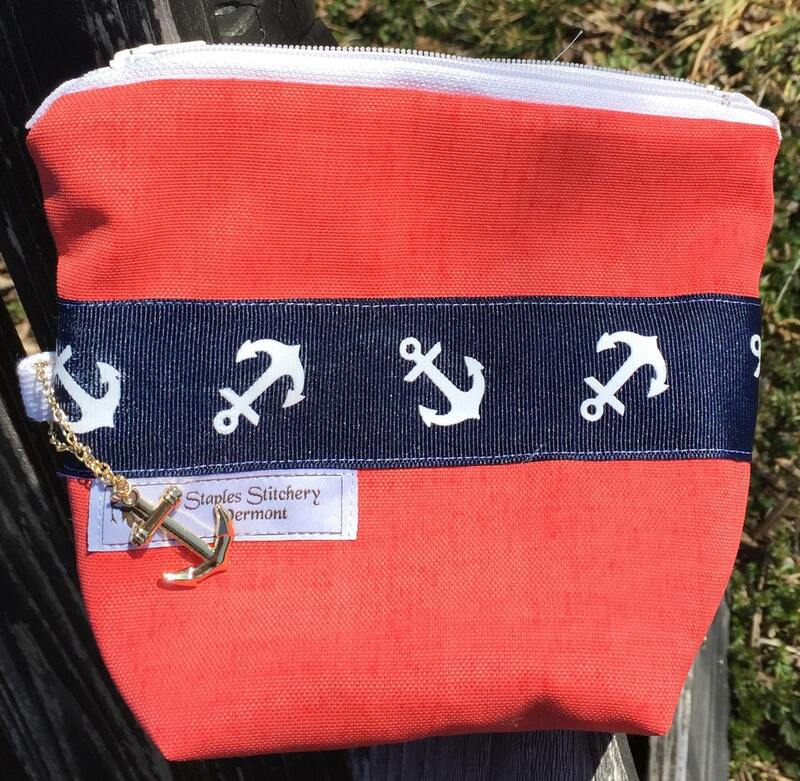 It also makes a super cute cosmetic bag! 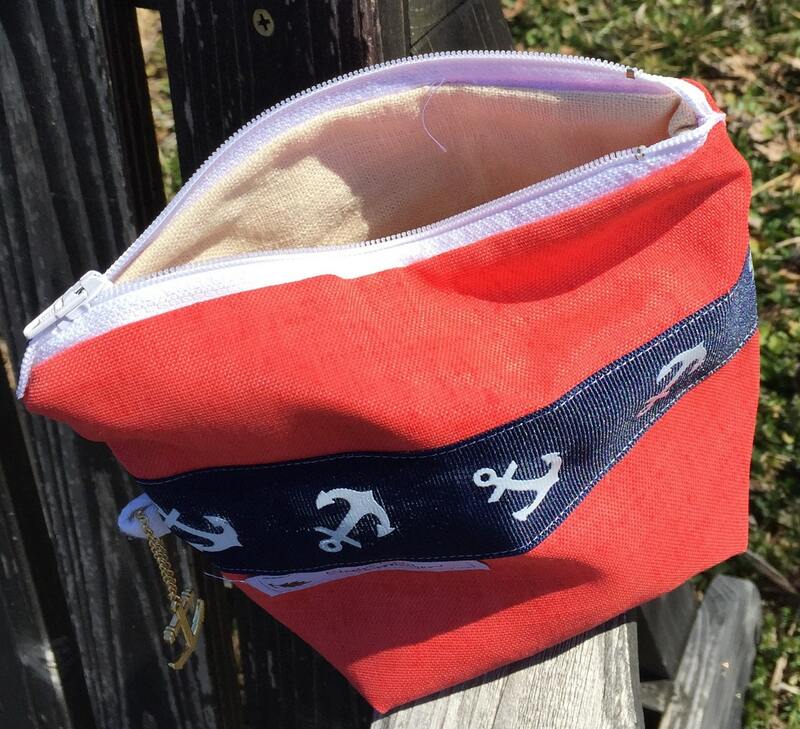 It's made with super durable pink outdoor fabric and lined with ecru linen. 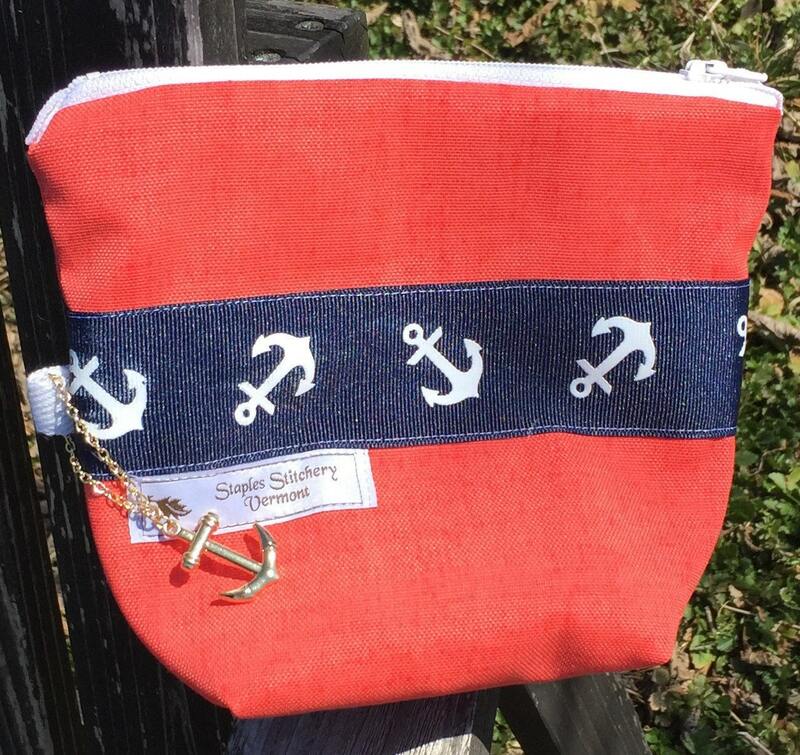 The little anchor adds some bling and acts as a handle! Approximately 6 inches tall, 6.5 inches wide and 3 inches on flat bottom.